For the real estate investor, knowing how to capitalize on what others commonly overlook can be the key to success. And to that end, probate real estate has become a profitable investing niche for many successful investors. 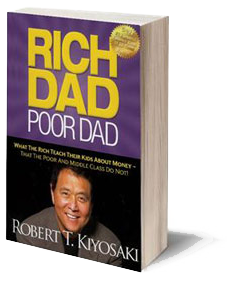 Rich Dad, Poor Dad requested I do this for them. Probate is the governing process for the distribution of a person's assets after they pass away. Many investors stay away from probates because of their lack of education. This breeds fear—a fear of the unknown. However, a fear of the unknown is the same as going into a dark house. If you turn the light on, the fear goes away. Years of television, movies and the media have established the belief that if one goes to law school, that individual knows all there is to know about the law. But that isn't the case. If your neighbor is a brain surgeon and your child falls out of a tree and breaks his arm, would you take him to your neighbor or to the emergency room? Just like doctors have specialties so do lawyers. However, very few would specialize in probate. Instead, they specialize in personal injury, corporate law, tax law or something more traditional . Attorneys usually take one probate course in law school—estates and wills. As a result, the majority of the attorneys of record that are handling pro case cases are doing so because they hand-led other matters for the deceased, such as, divorce, corporate matters, traffic tickets-etc. Probate is not their area of expertise. As a result, probate cases can take an unnecessarily long time to settle. For those left behind, an extended probate can be a trying experience. But, an investor, who is able to help settle the estate, can provide a welcomed solution for the heirs and becomes the proverbial hero riding in on a horse wearing the white hat. Often, one of the concerns for the heirs is converting the estate to money to help cover bills and other expenses. A probate investor can help shorten the average time to settle the probate. Probate investors can cut cost and bring closure to the estate sooner for the sellers, as a result, sellers are grateful to work with probate investors and often sell the property at a price that benefits both parties which can be below fair market value. Another benefit of probate real estate is the constant supply and if purchased correctly has little to NO competition because if pursued right the address has never been in print. Traditional real estate for sale is exposed with intent of reaching as many people as possible. The Multiple Listing Service (via real estate brokers), REO's List, Foreclosure Notices or Tax Sales are all create an environment where investors have to compete against each other. conversely. a knowledgeable probate real estate investor can find probate properties before they are advertised to the competition. someone inheriting a probate property! Unlike the ups and downs of supply and demand other types of real estate, probate real estate has a constant never-ending supply of real and personal property. There are—and will always be—millions of unsettled probates twenty-four hours a day, seven-days a week in a bucket that never empties. Investing in probate assets—with the right education—will be a profitable specialty for those willing to put forth the effort. Nothing trumps experience, I have been involved with only Probate Personal and Real Estate for over thirty-five (35) years. I created the Probate System and have been labeled the "Father of Probate" and "Mr. Probate." I can teach you how to find and invest "correctly". Probates (THE SECRET REAL ESTATE) before anybody else knows the property is for sale. © 2019 Jim Banks. All Rights Reserved.